Since I last posted, I’ve been to a couple of poetry evenings. 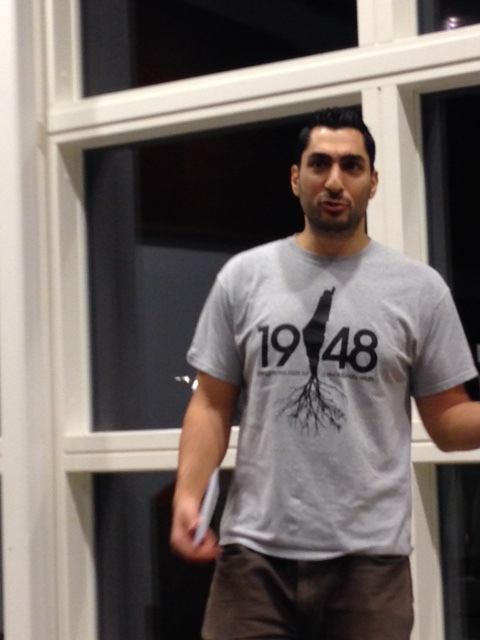 The first was at Trowbridge Civic Centre to hear the Palestinian-American poet and activist Remi Kanazi perform his work and the second was Love Night at the Poetry Cafe in Frome organised by writer and tutor Crysse Morrison. It’s a treat to attend poetry events which aren’t too far from home. I’m already a big fan of Dawn Gorman‘s regular poetry night in Bradford on Avon, Words & Ears, which takes place at the Swan Hotel, on the last Thursday of every month and I try to get over to Swindon when I can although that is over an hour away from me. If you hear of any other poetry and literature events in the Trowbridge/Bath/West Wiltshire area, please let me know. 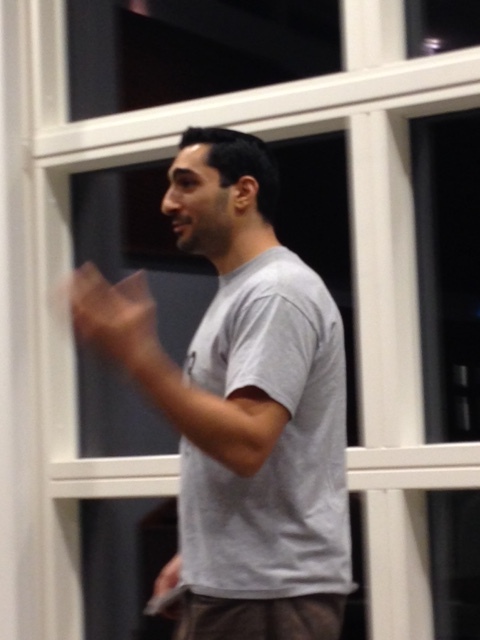 Remi Kanazi is a passionate, intelligent, funny and articulate spoken word poet. His work was by turns fiery and heart-breaking. His primary focus is Palestinian life, under occupation and in exile. His poems are rich with facts and statistics but he avoids turning them into lectures. His tone is persuasive rather than badgering but he makes no bones about where his allegiances lie. There are references to the 500 Israeli checkpoints on the West Bank (which we were told is the size of Norfolk); more than 200 Israeli settlements and ‘starter settlements’ which international law define as illegal; the apartheid wall, constructed by Israel, which surrounds and divides Palestinians in their homes, cutting off entire villages, separating farmers from their fields and children and adults from their places of education and work. Kanazi supports and makes a strong case for the BDS movement, the campaign of boycotts, divestment and sanctions (BDS) against Israel until it complies with international law and Palestinian rights. His poem ‘This Divestment Bill Hurts My Feelings’ addresses and then answers the kind of arguments and statements people make opposing the ethics of BDS. Kanazi is a charismatic, powerful performer. His poems acknowledge the irony of the growing international support for the rights of Palestinians with the shrinking of their human rights in their own home. But he refuses silence as an option and argues that the world shouldn’t be silent about oppressive regimes, either. He reminds us that silence didn’t bring about change for race segregation in the US, apartheid in South Africa, or the woman’s suffrage movement, for example. Remi Kanazi is on the final date for this UK tour tonight, Saturday 20th February at SOAS, University of London. Follow Kanazi’s Twitter for more details and further international dates. ‘Love Night’ at The Poetry Cafe in Frome was a very different experience, as you can probably imagine. I must admit that, after seeing Remi Kanazi, I felt that I could never write, read or listen to poetry that wasn’t political again. Everything other than political poetry seemed worthless. But then I realised that there is room for every kind of poetry and all subject matters. I need poems about love and relationships as well as poems which draw attention to social injustices. I think it was billed as ‘Love Night’ because it took place so close to St Valentine’s Day. The main reader was Stephen Payne, who I’ve heard read a few times and got to know quite well from various poetry events. There were open-mic slots in between Stephen’s two sets. Stephen read really well and gave interesting and amusing introductions to each poem. I think it helps to hear a poet read several times. It reminds me of listening to an album and getting to know and appreciate each piece of music more on each successive hearing. That’s how I feel about Stephen’s poetry. The Garden Cafe in Frome is a lovely venue but ‘Love Night’ was so crowded several of us had to sit out in a corridor! We could still just about see and hear the poets but I did feel slightly out of things. However, it was a friendly, lively crowd, Crysse Morrison is a great MC, and I would definitely recommend the Poetry Cafe as a reading series. I’ll certainly be going again. Two more West Country dates I’ve just discovered: Andrew McMillan is reading at Toppings in Bath next Wednesday, 24th February and Maggie Sawkins is performing Zones of Avoidance at the Merlin Theatre, Frome on Friday, 11th March. 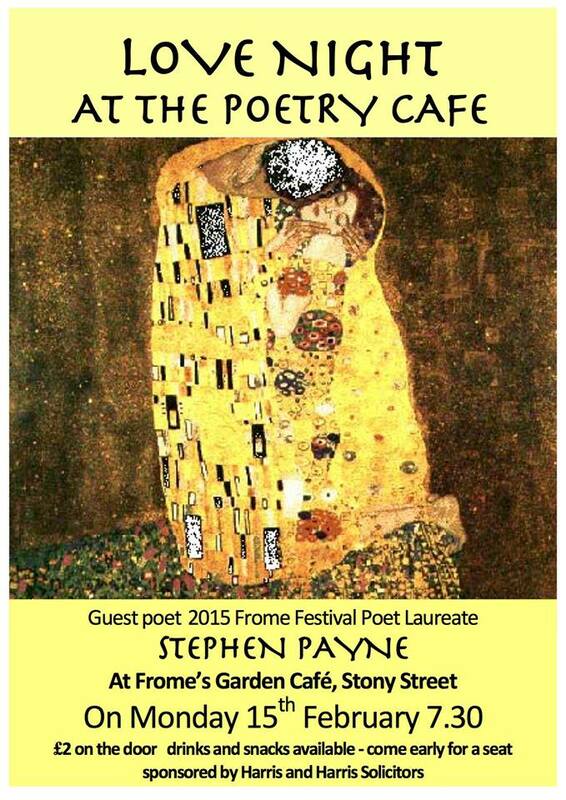 Lovely to see you at Frome Poetry Cafe, Josephine. You’re too modest to mention that you got the prize for open mic of the night, for your poem about your honeymoon– book of poems — what was it? It’s a cosy atmosphere, but not for those in the next room! I think it might be time for them to find a new venue.